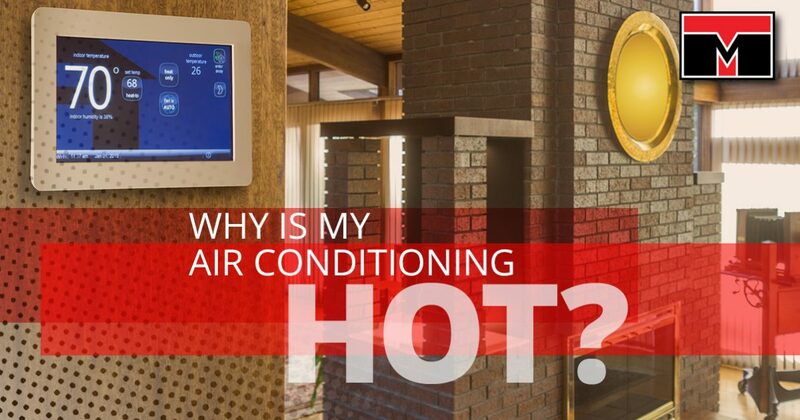 Why is My Air Conditioning Hot? The air conditioner has changed life as we know it since it was invented all the way back in 1902. That’s why it’s so startling when it’s suddenly blowing hot air when it should be cool. We’ve grown accustomed to consistent comfortable temperatures that can be managed at a moment’s notice. So what causes an air conditioner to no longer pump out cool air? It can actually be a number of problems. Some of them are easy to fix, while others could require a professional to come fix them. If you are in need of AC repair, call Tippetts Mechanical today! We’re the HVAC gurus of Las Vegas. One of the biggest causes of this issue, a refrigerant leak will cause the AC unit to malfunction. This can be caused by a number of things, but you will be hard pressed to actually see the leak. That’s because the leak will occur outside and by the time you actually are checking on the unit, the refrigerant will have already emptied out. We wish we could give one solid reason for why this happens. One possibility is a joint coming loose through heavy use. It’s also possible that a new air conditioner was assembled improperly, but that’s rare and never found with respected brands. Another cause could be a worn down service valve. These issues should always be handled by an HVAC professional due to the dangerous refrigerants present. You may be thinking, “Well if it froze, why is it hot?” The portion of the unit that has frozen over is actually the evaporator coil, and that blocks the cool air from being circulated through your home. The heat you’re feeling is actually coming from the AC unit’s motor, but the fan itself may have frozen over as well. This freezing occurs because of condensation forming on the evaporator coils, where it is supposed to evaporate. It will freeze if the AC is trying to get down to 32 degrees Fahrenheit, typically on a hot day when it’s being run at its highest setting. We recommend turning the unit off and letting it sit for about an hour or two so it can thaw. After that point, it should be safe to start it up, but it may freeze over again. If that happens, it’s time to call in an HVAC professional to repair it. We know it might seem silly, but this is often the simplest answer. Maybe you forgot to turn the thermostat from ‘warm’ to ‘cool’ in the winter. It may have been one of your children fiddling with the dial. A quick check of your thermostat’s settings will put your mind at ease and help avoid any unnecessary repair bills. Easy as pie, right? With most AC systems, there is an outer unit and an indoor unit, and both have their own power supply. If a breaker has been tripped, the indoor unit simply won’t power on. However, the outer unit does not require power to circulate air in your home, which is where that hot air can come from. Sometimes this is caused by a power overload, but just as often there is no reason at all. Because air conditioning units require a great deal of power, they can cause breakers to flip. You can fix this simply by flipping the breaker back on, but if this becomes a continuing issue you may need to contact an electrician. Many people forget or neglect to clean or replace the air filter in their air conditioner until something starts acting up. When an air filter gets dirty, it won’t allow the flow of cool air. You can fix this just by turning the unit off, removing the dirty filter, and either cleaning the filter or replacing it entirely. There are some less common things that could cause your air conditioner to blow out hot air, but these are big ones to be aware of. Always remember, if it’s not a simple fix like one described above, contact a professional to assist you. Your safety is much more important than fixing the air conditioning, so you should always err on the side of caution. And if you are in need of HVAC service, call Tippetts Mechanical today!